Elegant, curved profile covered clear bin is perfect for retail applications! Super-tough, impact and fade resistant virgin polypropylene is FDA approved for food use. 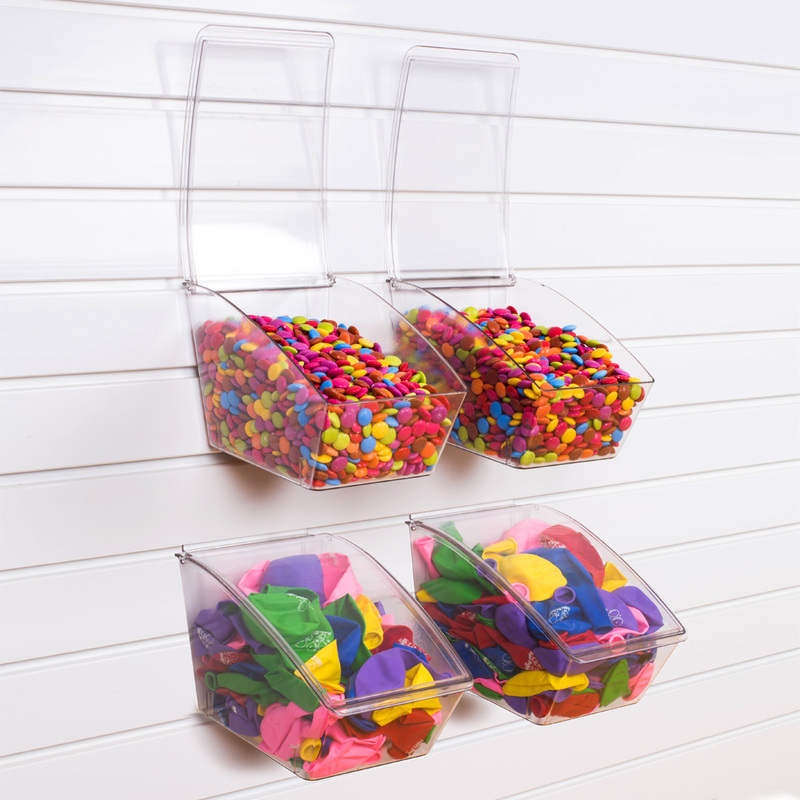 Attached hinged lid keeps products free from dirt, dust and discourages pilferage. Created for slatwall but the flat base is ideal for use on counter tops and shelves.